A $53 million backroom deal with a Utah consortium threatens to create the West Coast’s largest coal export terminal in Oakland, California. The redevelopment of the waterfront in Oakland, California, is generating new controversy over a proposed coal export terminal. Oakland, California, long overshadowed by its neighbor across the Bay, San Francisco, has recently emerged as a magnet for young technology companies and progressive green businesses. Now, a private developer’s backroom deal with Utah coal-producing counties may sign the city on to house the West Coast’s largest coal export terminal, throwing Oakland back into the dark ages by shipping an outdated and dying commodity. Earthjustice represents Communities for a Better Environment, the Sierra Club, San Francisco Baykeeper, and the Asian Pacific Environmental Network in fighting development of this coal export terminal. The Oakland Army base after its closure. The terminal would be developed on a piece of land right next to where the San Francisco Bay Bridge touches down in Oakland. 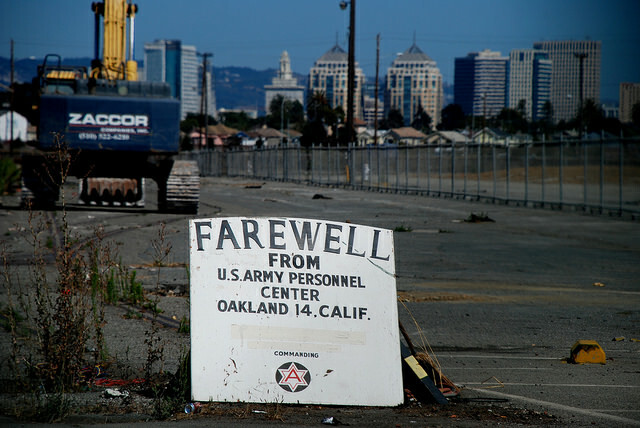 Formerly owned by the U.S. Army and operated as a military base, the land was turned over to a local redevelopment agency in 1999, and then to the city of Oakland in 2006. In 2012, the city contracted with the private developer, Prologis CCIG Oakland Global, LLC, to handle development of parts of the base. Plans for redeveloping the base envisioned enhancing the existing transportation infrastructure, including an existing marine terminal, as well as developing additional space for warehousing and distribution services, office and other commercial spaces, and affordable housing. Coal never emerged in any redevelopment documents or discussions with the community. For years, the city and residents believed and were reassured by the developer that the development of the Oakland terminal would involve handling goods such as corn, iron ore and wind turbines—not coal. In April 2015, community groups in Oakland were shocked to learn that the Army base developer had cut a $53 million backroom deal with four coal-producing Utah counties, which grants the consortium the right to use half of the bulk terminal’s nine to ten-million-ton holding capacity for exporting Utah coal. However, the environmental review for the development project has never included consideration of the effects of a coal terminal on the Oakland waterfront. If the plan succeeds, as many as a dozen 100-car coal trains would cross through the city every week. Open coal trains release hundreds of tons of coal dust as they travel. Transporting and storing coal on the Oakland waterfront poses serious short- and long-term impacts on community health and the local environment. Coal transportation and storage is a dirty and dangerous business. 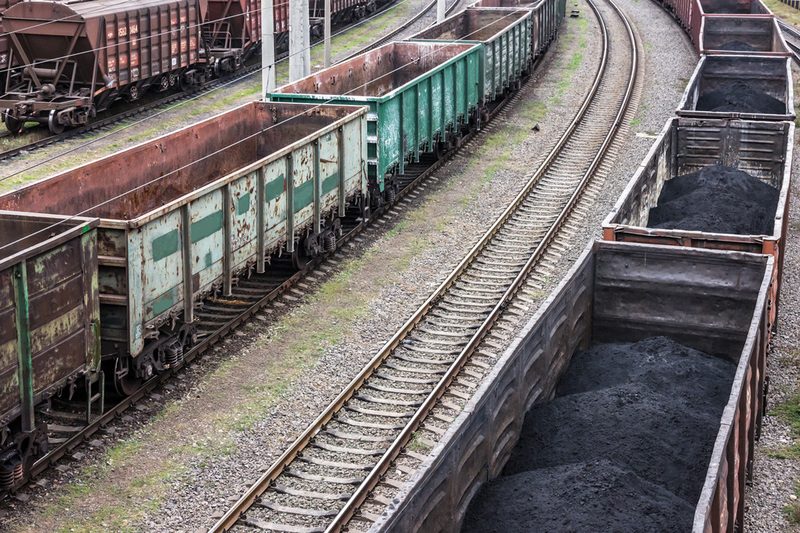 Coal is transported in open-top, mile-long train cars that release hundreds of tons of coal dust as they travel. Coal dust is linked to high blood pressure, pulmonary and kidney disease, low birth weights and certain types of cancer. The base sits at the edge of the neighborhood of West Oakland, which is already rife with toxic contamination from industry both past and present. Hemmed in by railyards, highways and marine shipping operations, the community of West Oakland is exposed to large quantities of freight-generated air pollution, and residents suffer from high rates of asthma. The EPA designated a federal Superfund site here in 2003 at a lot where AMCO Chemical left a deposit of carcinogenic vinyl chloride in the soil and groundwater. Opening a coal terminal will only add to the existing environmental problems in the nearby community. Once at port, coal is frequently stored in uncovered piles, which further places the community and environment at risk from coal dust pollution. Because there has been no environmental review for coal exports at the port, there are currently no enforceable mitigation measures in place to protect the community or the environment from these harmful effects. Due to declining domestic demand for coal, much of the coal coming through Oakland is destined for overseas markets. Additional harm stems from exporting coal overseas. The carbon dioxide produced by burning coal contributes to global climate change, and pollutants from coal combustion in Asia drift eastward over the Pacific, worsening West Coast air quality. China air pollution drifts out to sea. A coal export terminal was never part of the original plans for the former Army base, and the developer’s secretive deal with the Utah consortium is drumming up a heated debate in the city. In late September, 694 members of the public signed up to speak at a city council hearing on coal. Richard Grassetti, a California Environmental Quality Act expert, attended the meeting. He highlighted that this deal would be a major change to the nature of the project, and a new environmental impact study needs to take place. Irene worked at Earthjustice from 2013 to 2016. She was based in the San Francisco location of the California regional office, where her work focused on protecting vulnerable communities from the effects of the fossil fuel industry and ensuring fair and transparent public processes. She also worked to protect iconic species like the sea otter and gray wolf.